The H-2A visa program allows workers from other countries to work in the U.S. temporarily. 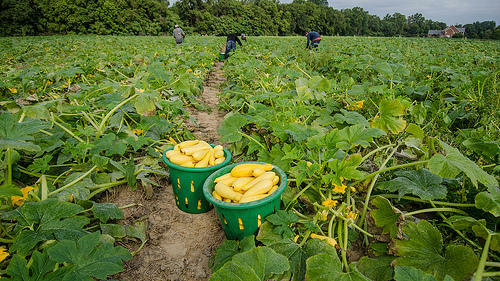 Employers in the agriculture industry have struggled to keep U.S. and foreign workers according to one Utah State University expert. A new update to the H-2A worker visa program might help workers keep their jobs in states like Utah. The H-2A visa program allows workers from other countries to work in the U.S. temporarily. According to the U.S. Department of Labor, close to 140,000 people were using the program to work in 2015. The proposed new rule would require American employers looking for temporary help to advertise their job openings to domestic workers online, instead of expensive newspaper ads that reach a limited audience. Brandon Willis, a professor of applied economics at Utah State University and senior advisor to the former Secretary of Agriculture Tom Vilsack, said this step could help employers in the agriculture industry who depend on the program. “There’s a constant struggle that is perhaps even getting even worse as we move forward for agriculture to find adequate labor,” Willis said. Many employers feel like the current H-2A program is doesn’t work well, according to Willis. Regulations are in place to prevent workers from being treated unfairly, but one of the problems is the timing of the visas. When crops need to be harvested and cows need to milked, workers are often still waiting for visas. Willis said the lack of labor makes it difficult for farmers to say in business. Public comment on the current H-2A visa worker program is open until December 10th.